I found several on-line articles that talked about how most washing machines are crawling with bacteria; throw your clothes in for a wash, and they could come out being dirtier than before. There are several industries out there – hospitals, medical labs and facilities, nursing homes, and food manufacturing – where that’s simply unacceptable. These businesses require washing machines that are designed for disinfecting; where items go in unclean and come out free of germs, bacteria, micro-organisms, and dust particles. That’s where the Electrolux Barrier Washer comes in. Guaranteed Hygiene – Electrolux is a global expert in linen hygiene, and their Barrier washers offer an ideal solution by allowing unclean clothes to be loaded through one side of the machine and then clean items to be unloaded on the other side of the machine, reducing any chance of cross contamination. Economical – Electrolux designed a unique drum and uses their own specialized dosing system that utilizes less water and detergent to help lower costs. Reliable – Electrolux builds their machines to last, and the Barrier washer is no different with its unbalance detection system, translating to less vibration and wear and tear on the machine. 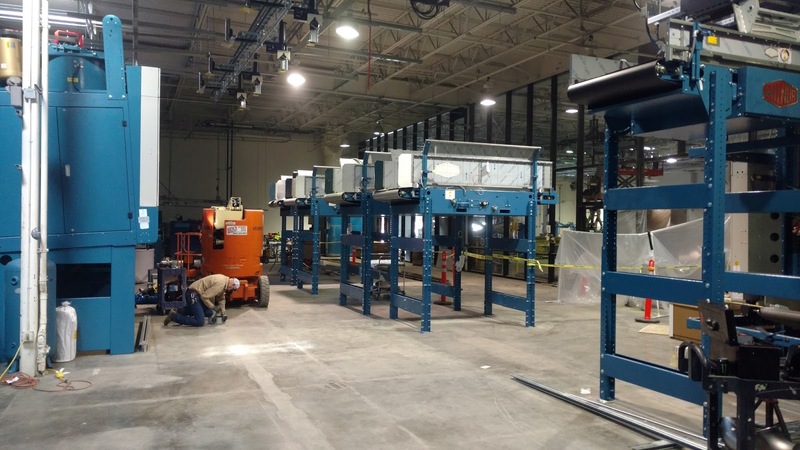 Here’s a photo from a VA Hospital we recently worked on where control is extremely important, so we have a glass separation wall between the incoming wash side and the outgoing drying and finishing side. Of course, this operation is on a much larger scale than most, but an Electrolux Barrier Washer can adapt in any facility. If your business needs a washing machine that offers a guaranteed line of defense from spreading germs, bacteria, and micro-organisms, then Tri-State believes you should look at the Electrolux Barrier Washer. To learn more, feel free to contact us online or call us at 1-866-885-5218.